Webtropic specializes in developing secure, database driven applications. We excel at helping our clients turn concepts and ideas into functional applications, quickly and efficiently. We use Agile Programming methods that allow you to make adjustments the the application as part of the creative process, spending less time prerfecting systems and documenting and more time build and developing ideas. Nothing transforms a company or process quite like a custom applicaiton that has been designed to meet your specific needs and requirements. Howerver it is not always necessary to build the entire application for scratch. When possible we will help you weave together custom code with existing appications using API to implement highly specialized applictions without starting from scratch. At Webtropic we use Agile Programming methods to take you from concept to working application in less time than you've ever imagined. Agile methodologies focus on rapid and frequent deliverables of partial solutions that can be evaluated and used to fuel development. Results are achieved in less time and soluitons are more on target than using other methods. WEBTROPIC -- Database driven applications delivered simply, effectively, economically. At Webtropic we frequently request feedback from our customers, and what we hear most often -- and enthusiastically -- is how natural our products are to learn and use. It is our belief that a simple,elegant solution is often available for even the most complex problems. Webtropic delivers application development and technology services from ideation thru execution, enabling clients to outperform their competition. Webtropic takes an agile, collaborative approach to creating intelectual property that becomes transformative strategic assets for our customers. Whether you need to differentiate your company, reinvent business functions or accelerate revenue growth, we can help get you where you where your going. We are a small independant application development company that focuses on the rapid developent and implementaiton of database driven applications. If you have a concept or idea you would like to develop for an in-house project or as a SaaS (software-as-a-service) we would welcome the opportunity to discuss it with you. Coldfusion and Photoshop are trademarks of Adobe Systems Incorporated, Close.io is a trademark of Elastic, Inc., Microsoft SQL is a trademark of Microsoft, Inc., Axure is a registered trademark of Axure Software Solutions, Inc Camtasia is a trademark of Techsmith, Inc. Webtropic is not affiliated with or sponsored by any of these brands. 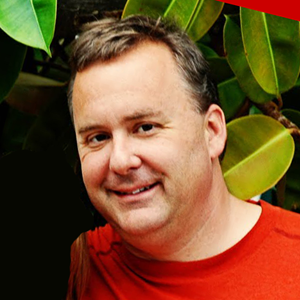 Founder and lead developer, Nathan holds an Electronic Engineering Degree and has worked as a Software Developoment Engineer for over 25 years. Mr. Showalter has developed applications that manage over 30 billion dollars in inventory, and SaaS applications that have generated millions of dollars in revenue. Today he continues to work directly with customers to prototype and develop new software applications. Webtropic delivers application development and technology services from ideation thru execution, enabling clients to outperform their competition.